Shinobu is an expert on Mr. Donuts, so homemade doughnuts need special examination. Is this what it looks like every time Shinobu jumps out of Araragi's shadow? Shinobu's doughnut radar is very sensitive. Shinobu wants those doughnuts NAO! Yup. Senjougahara's doughnuts look real tasty. Shinobu takes her poison taste testing seriously. As in, she seriously wants to eat those other doughnuts! 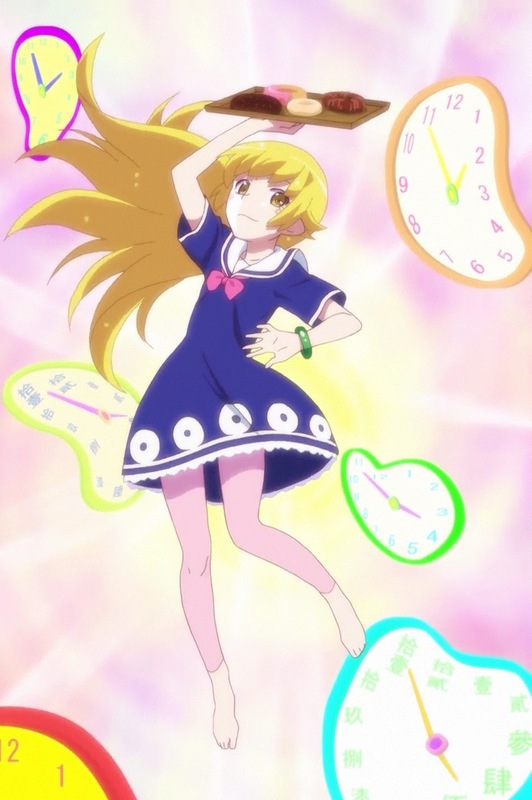 It's so rare to see the goofy side of Shinobu when she isn't fighting other lolis for Araragi's attention. Hanekawa knows Araragi enjoyed using Shinobu's leggings as a blindfold way too much. 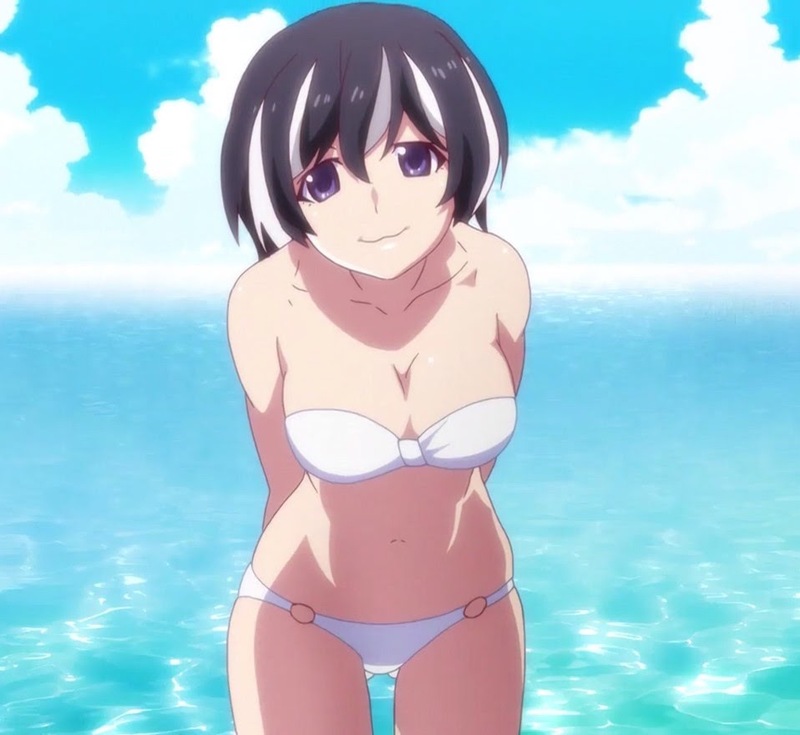 Hanekawa can't last too long wearing all that clothing next to a beach. I'm so glad Hanekawa is only a phone call away from listening to Araragi's problems and she prefers using speaker phone too.